Kids Day is a free Community Event open to the public! 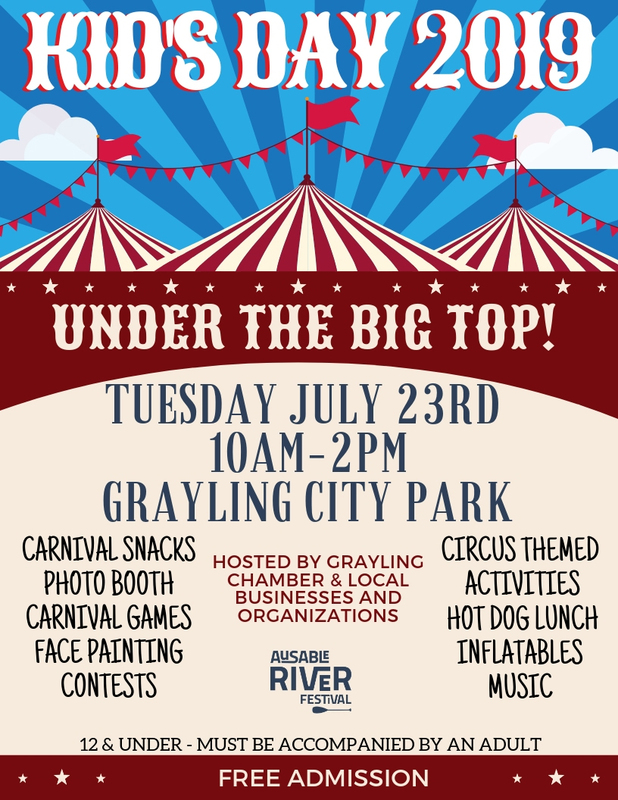 Join us in the Grayling City Park for our Under the Big Top Themed Day!! Is your Business, Organization, or Group interested in becoming involved in Kid’s Day?